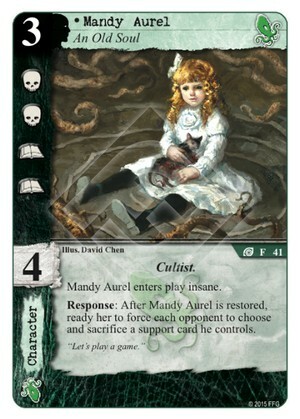 Mandy loves dead animals and dead support cards. Her latter inclination should turn out more helpful. Considering the little girl is a Cultist and also has fists, brains and skill, we'll certainly agree to play games with her as she demands, even without ways to drive her insane again... 4/5.